The EMX-7150 is a ?? 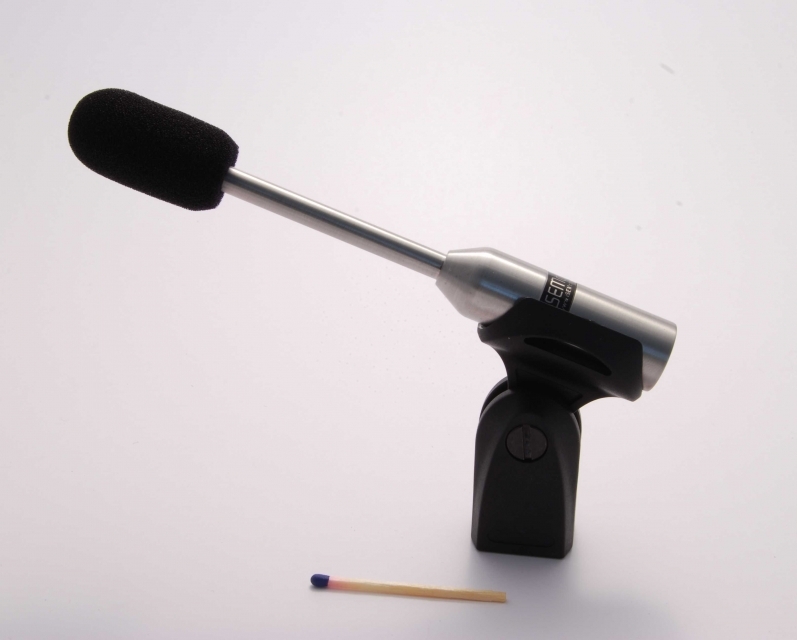 microphone made from stainless steel and using state of the art water tight Neutrik*2 connectors has a very accurate frequency response combined with the capability to measure high sound pressure levels up to 145dBspl. It is low impedance measurement microphone that can be operated from 12?52 V Phantom Power which is available on most professional microphone preamplifiers and professional computer interfaces. With its mechanically robust design it is well suited for harsh environment use such as open air sound reinforcement measurements. Its class 1 frequency response makes it predestined for Room acoustics analysis including recording studios and home theaters. It can normally be used without the included freefield calibration data file for compensation. In this case take the individual calibration data as proof of its superb performance. The EMX-7150 should not be plugged or unplugged into a mixer console or PA system unless the input channel is muted. If the system does not have a muting option the volume should be turned off. This avoids loud popping noise that can cause damage in speakers and/or affect your hearing. Our super protection windshield SWS -7 is recommended for open air use when limited amounts of spraying water as well as trickling water impact the microphone. 3% distortion limits 145dBspl typ. *2 The corporate names and names of the products stated in this brochure are trademarks or registered trademarks of the respective companies. 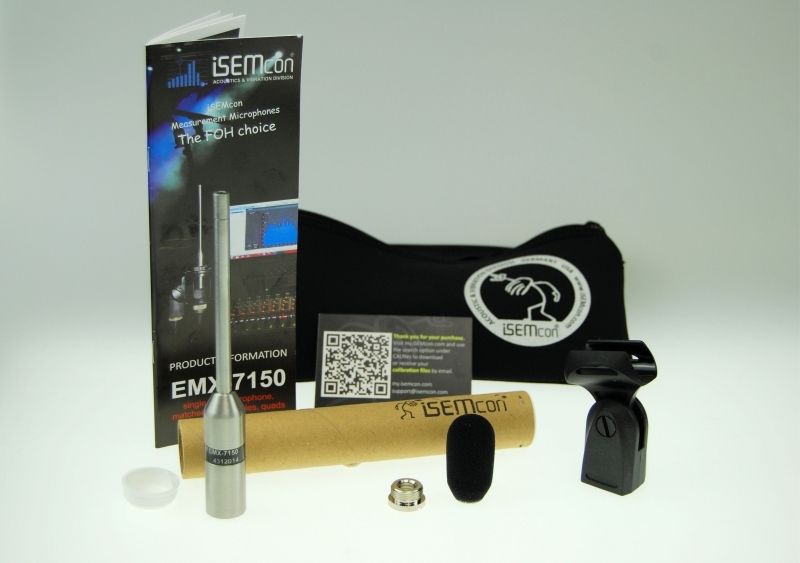 Customer reviews for "EMX-7150 Measurement microphone (bulk)"